The experience of our staff contributes to the high quality care we offer. 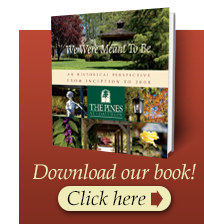 Senior staff, led by Steven Jewell, have made The Pines their personal mission. The mission-driven goals of The Pines cannot be reached without senior staff who approach their jobs as more than a way to earn a living. Look at the tenure of The Pines staff and their record of customer satisfaction. 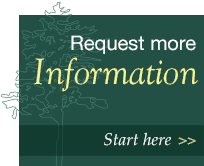 When you do, you’ll feel comfortable asking for more information about vibrant living in a college community. Following a nationwide search, Mr. Jewell was selected by the Board of Directors to become the President and Executive Director of The Pines on July 15, 2015. In this role, Mr. Jewell oversees operations of The Pines. 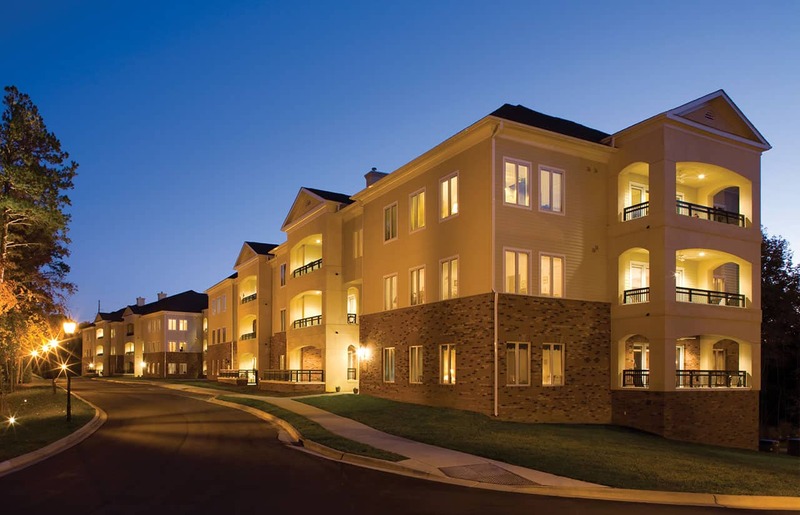 Prior to joining The Pines, Mr. Jewell served as the Executive Director of Park Pointe Village in Rock Hill, SC. Park Pointe is an affiliate of ACTS Retirement-Life Communities, Inc. and has an investment grade rating from Fitch Ratings. Mr. Jewell has more than 20 years of management experience in the retirement community industry. Prior to his appointment at Park Pointe Village, he served as Executive Director of Kendal at Lexington, a life plan community in Virginia, from 1999-2012. At Kendal, he oversaw the successful opening of the community and led subsequent expansion efforts, including a capital campaign. Mr. Jewell was the Administrator for Health Services at Westminster-Canterbury on Chesapeake Bay in Virginia Beach, VA from 1996-1999 and the Health Service Administrator at Presbyterian Homes, Inc.’s Glen Meadows Retirement Community in Glen Arm, MD from 1993-96. In addition, Mr. Jewell served as Vice President for Operations for the Upper Chesapeake Health System’s Fallston General Hospital in Fallston, MD. Mr. Jewell is licensed as a Nursing Home Administrator by the State of Virginia, and he will be applying to be licensed as a Nursing Home Administrator by the State of North Carolina through the process of reciprocity and endorsement. He received a Master’s of Health Administration from the Medical College of Virginia in Richmond, VA and a B.A. degree in Sociology from the University of Virginia in Charlottesville, VA. Mr. Jewell has served on a number of professional organizations, is a Rotarian and is an Elder of the Lexington Presbyterian Church. Mr. Rainey has served as The Pines’ Director of Financial Services since May 1988. Mr. Rainey is a Certified Public Accountant and is licensed by the State of North Carolina as a Nursing Home Administrator. He received his B.A. in Psychology from Davidson College and a B.S. in Accounting from The University of North Carolina at Charlotte. Mrs. Frazier has been employed by The Pines since May 2014. She is a Certified Public Accountant and received her B.S. in Accounting from The University of North Carolina at Greensboro. Mr. Chinery is a licensed civil engineer who earned his M.S. in Engineering from Clemson University. He has provided civil engineering services to The Pines since its inception in 1988. Mr. McCachern joined The Pines in January 1994. He is a certified plantsman and a certified pool operator. He received a B.S. in Horticulture from North Carolina State University. Ms. Picton earned a BS in Journalism and Public Relations with a Minor in Marketing from the University of Florida. She has a successful sales background with Glaxo SmithKline Pharmaceuticals and, most recently, with a Presbyterian life plan community in Orlando. Ms. Procyk has served The Pines since 2006. She has worked as a fund raiser for several organizations including Mount Sinai Hospital in NYC and the Columbia University School of Law, where she directed its $125 million campaign. She received a B.A. in English from Wesleyan University and an M.A. in Education from Teachers College, Columbia University. Mrs. Clontz has worked at The Pines since 1999. She graduated from Appalachian State University with a social work degree, minoring in sociology and psychology. Ms. Heyward became the Schramm Health Care Center Social Worker in October 2014. A Deans List Honoree Graduate of South Carolina State University, Ms. Heyward obtained her Bachelor’s Degree in Social Work. Prior to joining The Pines, Ms. Heyward worked in the fields of Long-term Care and Hospice serving the Geriatric Population of the Lowcountry Region. Originally from Ridgeland SC, Pamela now resides in the Charlotte NC area. Ms. Langella, a licensed recreation therapist, joined The Pines at Davidson in 2010. She oversees all Health Center programs including recreation therapy, music therapy, general activities, and volunteer services. She holds an undergraduate degree from the University of South Carolina and an M.S. in Recreation Therapy Administration from East Carolina University. Mr. Lauderbaugh has held this position since August 2014 and previously served as Executive Chef and Dining Room Manager since joining The Pines in December 2008. He earned a Bachelor’s degree from The Culinary Institute of America. Prior to this, Mr. Lauderbaugh served in the United States Air Force where he obtained extensive culinary experience. Mrs. Hewey is a Registered Dietician who earned a Bachelor's Degree in Dietetics from James Madison University and a Master's Degree in Nutrition from Mississippi State University, where she also completed her Dietetic Internship. She came to The Pines in 2016 with 14 years of experience in the dietetics field.